If you haven’t taken the time to check out Pinterest, you really should. If you are now finding yourself saying what is Pinterest, I am a little disappointed in you, and suggest you get caught up right away. Now this site has a reputation for causing girls to spend hours pinning away pictures of their dream weddings, but if that’s not your niche I would like to hypothesize that using Pinterest can lead to a healthier life. Don’t tell me you have the money to join a gym this year because that excuse doesn’t work anymore. There are boards that offer free workouts that can be done right in your living room. Everything ranging from a 30 minute workout, to a little more creative Harry Potter gym session will get you moving without leaving your house. Replace a personal trainer with step by step instructions available in many little pins. One that is very inspiring is the Couch to 5K workout plan. This 10 week plan gives workouts for everyday and strategically places days to relax in-between. This reaches out to the everyday person and makes a very large goal seems obtainable by starting off slow and growing in intensity every day. It is crazy what you can accomplish with the right tools and a little Pinspiration. Quotes, and Videos, and Magazine clips OH MY. 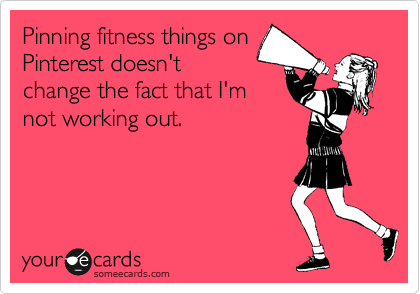 Pinterest provides endless boards of inspiration that can act as that “kick” you need to get off the couch, and start working out. 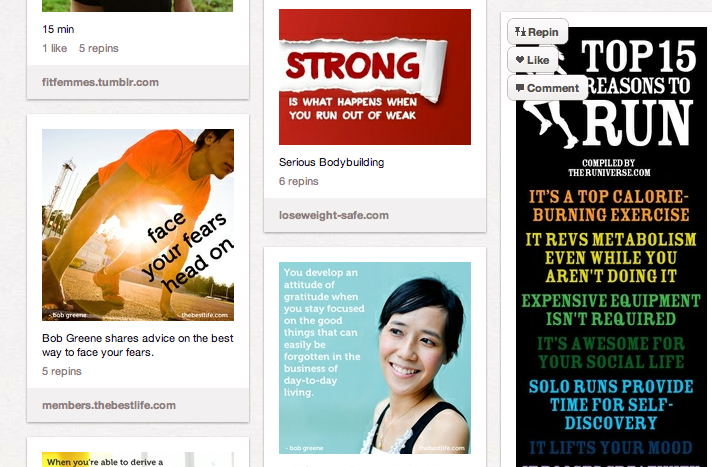 If you feel down from a rough day and make excuses about why you don’t want to work out, Pinterest can provide a little extra motivation with just the click of a button. The phrase “A picture’s worth a thousand words” is taken to the next level here because every picture can act as an instant pick me up, or give you the motivation trade in your bad habits for a healthier lifestyle. Do you have that #iphoneswag ? When anyone gets an iPhone/iPad (pretty sure all of these apply for both) they want to start decking out their devices with apps that give it abilities beyond your normal phone. 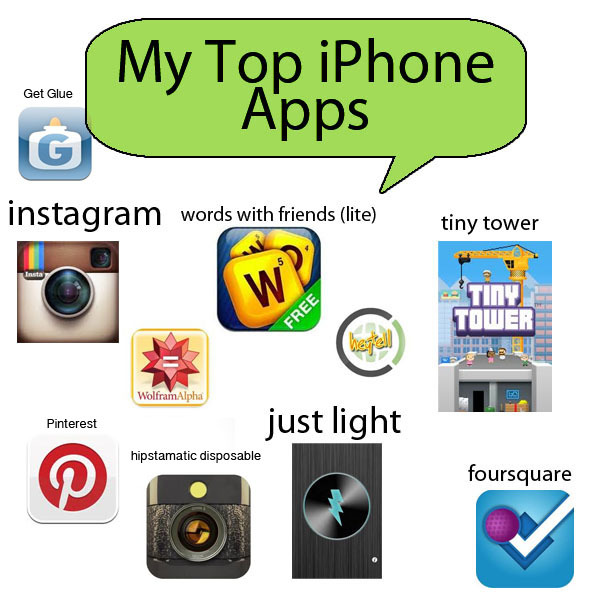 Today I just thought I would share my favorite iPhone apps, and hopefully you will do the same so that we can all discover low cost ways to make more use and probably less battery of our fun technology. Have you heard of the newest social network that has been buzzing about lately? It’s called Pinterest. Rightfully so because they main idea is that you can “Pin” different pictures on your array Pin Boards. 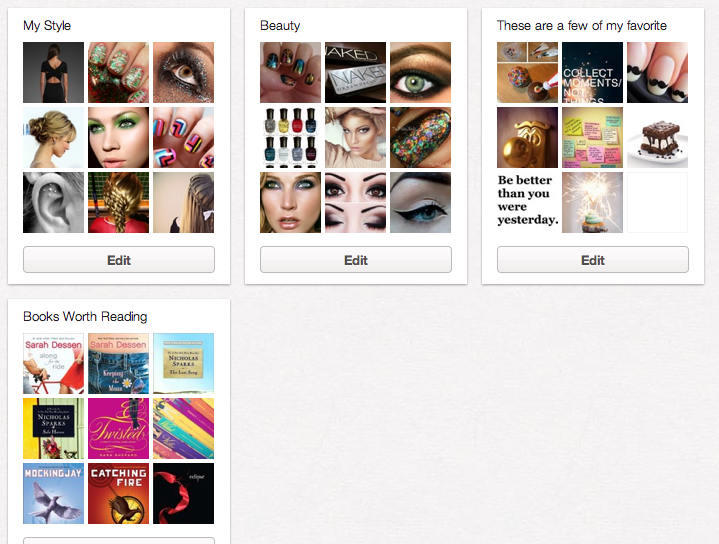 Below I have an example of my Pins that are separated in 4 categories so far, but I can always add more! 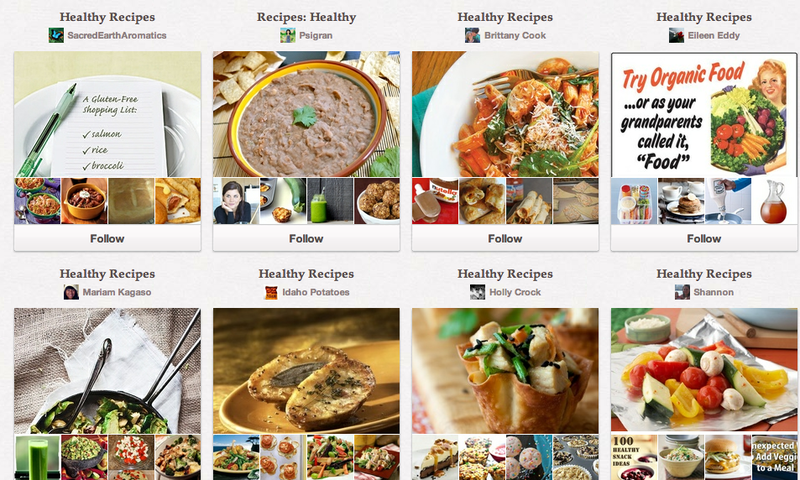 You can browse through all the Pins in different categories, or pick specific people to follow. (You can even follow only certain boards of those who you want to follow) Basically it’s a fun, more organized version of Tumblr. People have been known to use Pinterest to replace old fashion scrapbooks or wedding Planners by just creating different boards filled with picture ideas. You can take any picture from the web and Pin it to your boards too by using this handy dandy Pin It button in your bookmakrs bar. Fun Fact: There are definitely more Women on Pinterest than Men.